#Armistice100: What became of the war animals? 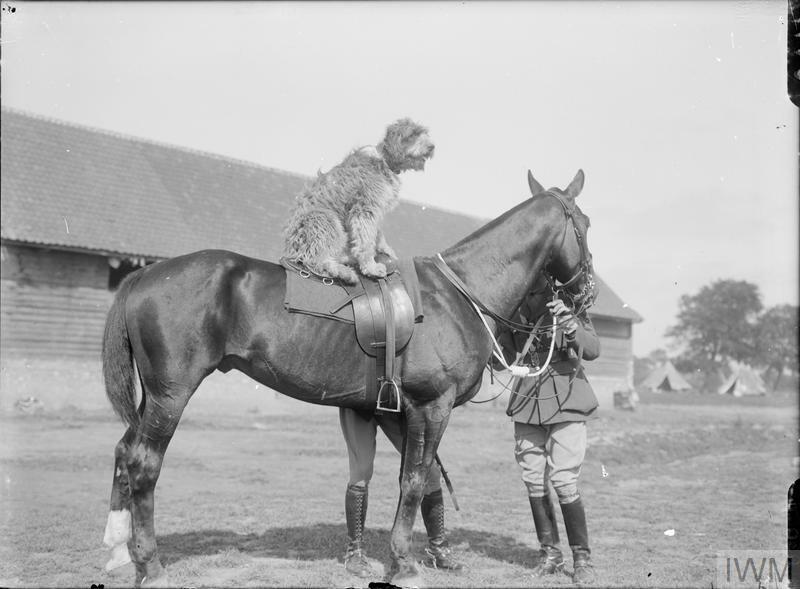 Given the global scale of the 1914-1918 conflict and noting that many of the nations involved collapsed into chaotic defeat, we will never know exactly how many animals were mobilised for military service. However, the experience of the British Empire, for which reliable documentation exists, gives us some idea of how reliant modern armies were on animal muscle. In November 1918, the British counted 791,696 draught and riding animals with their armies in all theatres: 510,000 horses, 225,311 mules, 36,834 camels, 8,425 bullocks, and 11,028 donkeys. In addition, they were utilising about 100,000 carrier pigeons and several hundred dogs (primarily messengers and sentries). What became of these animals in the wake of the Armistice? To understand their treatment we need to consider society’s attitudes towards animals more broadly. On the one hand, the still dominant attitude was that which stressed humankind’s dominion over animals, unthinking and unfeeling “beast machines”, to be exploited for our benefit. On the other, was a more empathic tradition that understood the capacity of animals to experience joy and pain and thus emphasised their suffering as a matter of moral concern to humans. During the nineteenth century, this sentiment began to acquire the force of political and social activism. MP Richard Martin’s Act of 1822 was the first British legislation to make cruelty to animals an offence punishable by fines or imprisonment. This was followed by the foundation of the Royal Society for Prevention of Cruelty to Animals in 1824. The suffering of animals in war time was highlighted by the deaths of over 300,000 horses and mules during the Second South African War (1899-1902). There was thus a very real concern that animals be treated decently both during and after the First World War. Yet, while that concern may have eased their suffering to some small degree, it was never allowed to outweigh the callous dictates of economics and military efficiency. In November 1918, the British counted 791,696 draught and riding animals with their armies in all theatres: 510,000 horses, 225,311 mules, 36,834 camels, 8,425 bullocks, 11,028 donkeys. Consider, for example, the fate of British horses and mules. 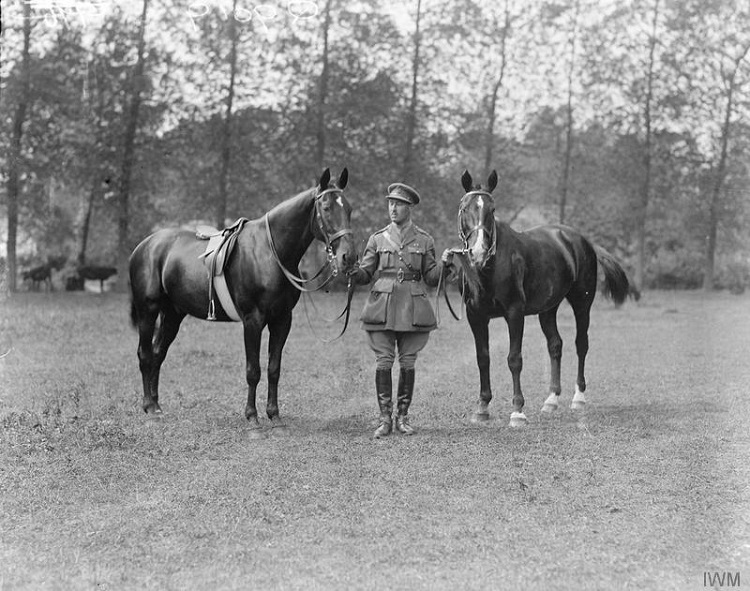 The army retained many animals for peacetime service and some privately-owned officers’ chargers accompanied them home. The majority were “cast”, sold off, either to local farmers or, for those too old, used-up or injured for further work, to abattoirs for meat. This was considered the most practical policy. The cost of transporting these animals home would have been astronomical. Secondly, there was the veterinary advice – the risk of introducing foreign diseases to domestic livestock was felt to be very great. Additionally, concerns that animals be disposed of quickly, to avoid the expense of feeding and caring for them and to allow the relevant human personnel to be demobilised as soon as possible, can also be found in the relevant records. And what of other animals? About 100,000 pigeons had been mobilised by 1918, of whom about 20,000 were on the Western Front. After the war, almost all the birds were auctioned off in France and Belgium. So, who did make it home? Oddly, enough, even though (most) British military working dogs were sold off, other dogs who had accompanied British troops in the field were repatriated. These were mascots and pets acquired during the war. In the words of the official history “in many instances the owners had become greatly attached to these dogs, and it was decided to allow a proportion of them to be brought to England, subject to proper precaution [quarantine].” After some debate about cost, the RSPCA stepped in with an offer to provide quarantine facilities for up to 500 animals at Hackbridge in London, at a nominal fee to solders of £2.00 per dog. About 100,000 pigeons had been mobilised by 1918, of whom about 20,000 were on the Western Front. After the war, almost all the birds were auctioned off in France and Belgium. Many others were probably simply smuggled back on board troopships. At least one trench messenger, an Airedale called Michael, made it home, living out his days in a pub in Lyme Regis. One or two of these animals were technically POWs – German messenger dogs captured and then adopted by British soldiers. At least one of these dogs embarked on a further adventure. Laddie, described as “partly sheepdog, partly wolf”, had been captured on the Western Front by Captain Lester Stevens MC. Together, in 1919, they set off for the Congo to claim a £1 million reward offered by the Smithsonian Institute for anyone who could bring to them – dead or alive – the brontosaurus that was (allegedly) roaming the jungle. I know Captain Stevens never claimed his reward; I don’t know what happened to Laddie. I hope he made it home again.